The Grand Bronze Tabernacle is made of high-quality bronze with detailed accents throughout. The design features angels kneeling at the cross and includes contrasting high polish accents to enhance the design. The sides, back and top are left plain to draw attention to the front of the piece. The interior of the tabernacle is lined with white fabric. The beautifully crafted piece is the perfect combination of modern sophistication and traditional appeal. 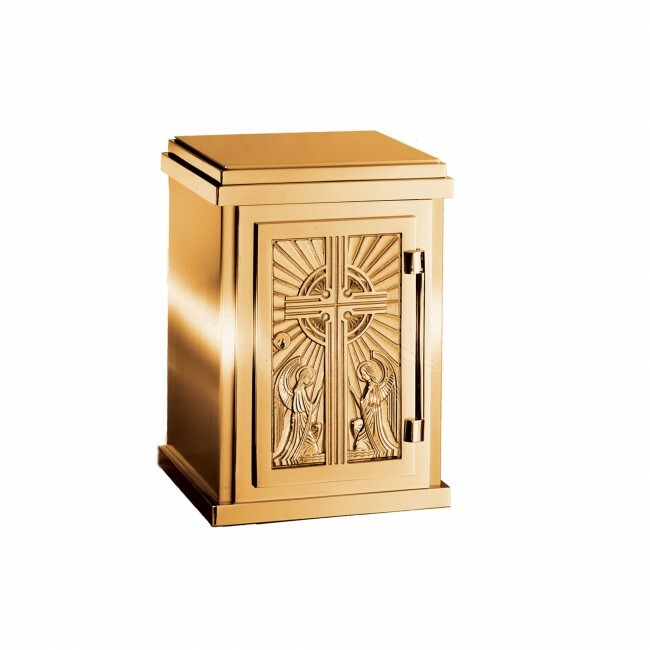 The tabernacle comes with a vault lock.